When it comes to Valley fever, awareness is key. Unfortunately, too few people know much of anything about it. A fungus that lives in the soil throughout the Southwest causes this terrible lung infection. The Pacific Crest Trail likely passes through areas where this fungus exists. According to doctors at U.C. Davis Medical Center, Valley fever is on the rise in California. While the infection is an annoyance for most, it can be more serious or even life-threatening. More than 150,000 cases occur each year, although actual reporting shows much less. 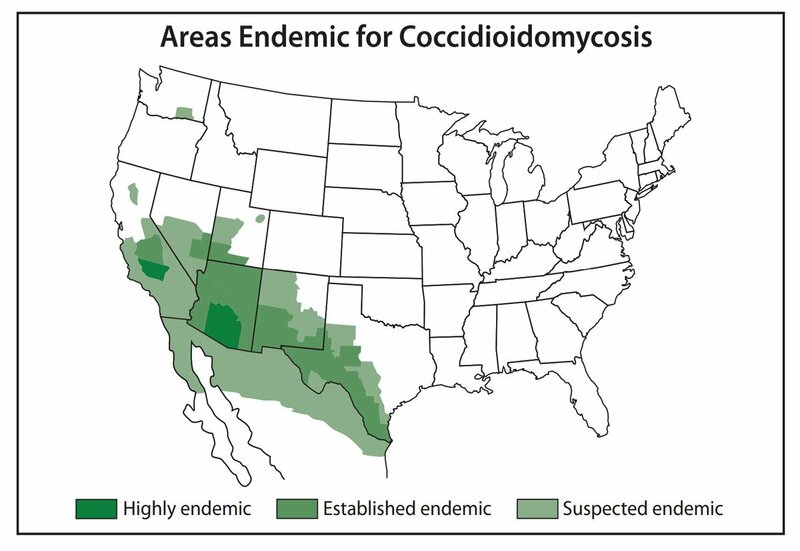 Valley fever, or Coccidioides, is often misdiagnosed as another ailment, in part because many health care providers have a low awareness of it. The Centers for Disease Control and Prevention encourages you to talk to your doctor about the condition if you have symptoms. Since many PCT hikers travel from other states and countries, it seems likely that doctors who are far removed from the Southwest would be even less likely to consider this fungus. 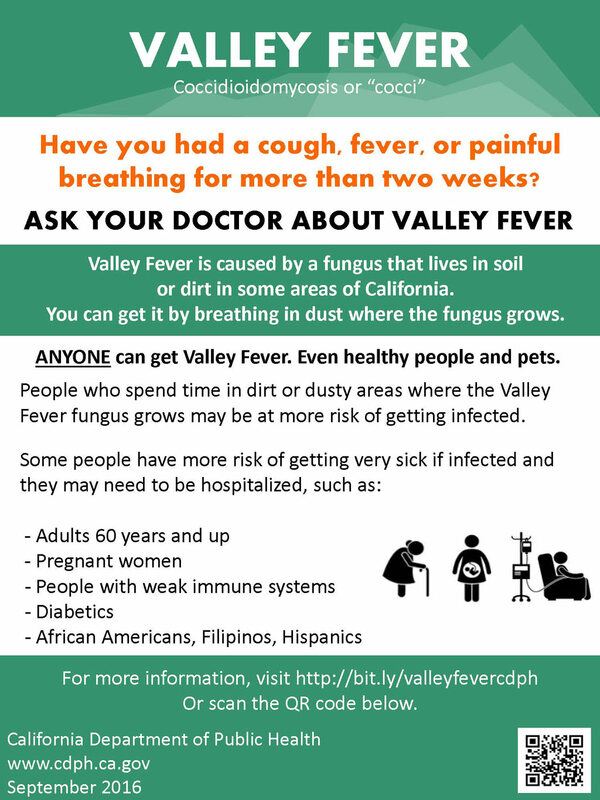 Please tell others about the threat of Valley fever. A while ago we heard from Valley fever sufferer from San Diego, California, whose brother hiked the PCT. She said she dropped him at the PCT Southern Terminus, hiked in the area a bit and started showing symptoms a week later. She was first diagnosed with the flu, then lung cancer, and underwent months of testing and procedures before doctors hit on the right diagnosis and treatment regimen. It was a terrible thing to go through.